Gil Hibben Black Pro Throwing Axe | BUDK.com - Knives & Swords At The Lowest Prices! 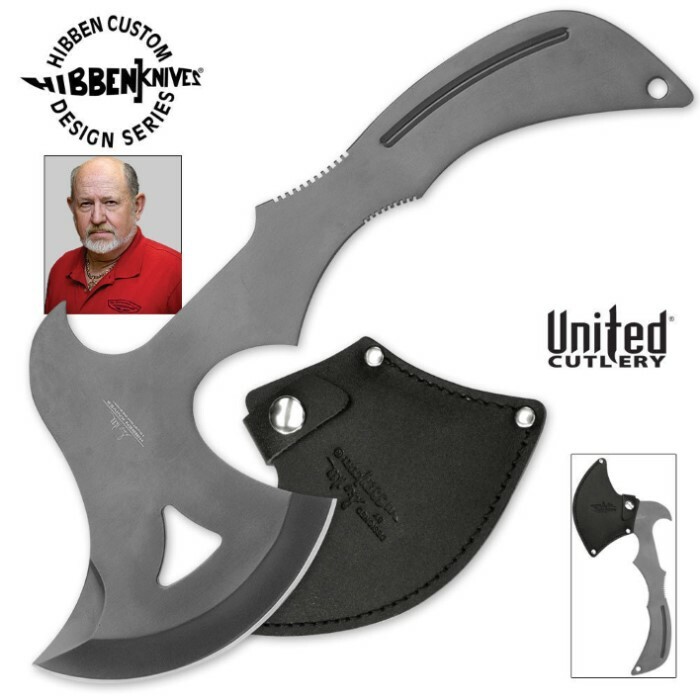 This Gil Hibben Throwing Axe was designed by International Throwing Knife Hall of Fame member Gil Hibben. It is constructed from one solid piece of stainless steel with a black oxide coating. Bought one of the plain steel Throwing Axe because I like Gil Hibben knives.Had so much fun I decided I would make a set of three. Great thrower for its price surprised about its size very fun i had to see how it was before i threw it bought it last month steel holds up and easy to stick. I bought this ax along with some knives, and it quickly became my favorite. It throws well and it hits hard. It will easily puncture some plywood. I loved throwing it, but with the black finish I had to stop when the sun went down. Honestly I'm not much for writing reviews but I felt compelled to after using this axe. This thing is perfectly balanced for throwing & is easy to learn to use. I got the hang of it after only a couple throws. It almost sticks itself into the tree is so well made. If you want a no B.S. 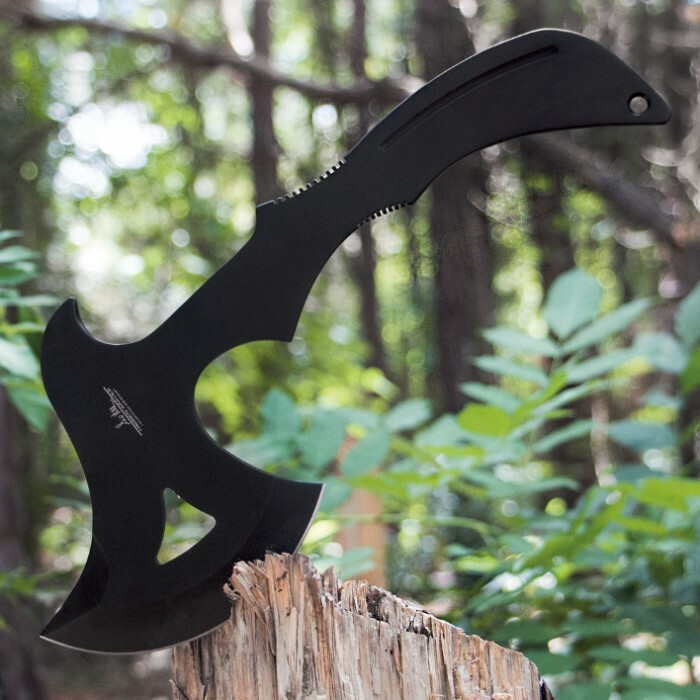 throwing axe that's the best bang for your buck, this is the one for you! Throws well and is balanced. 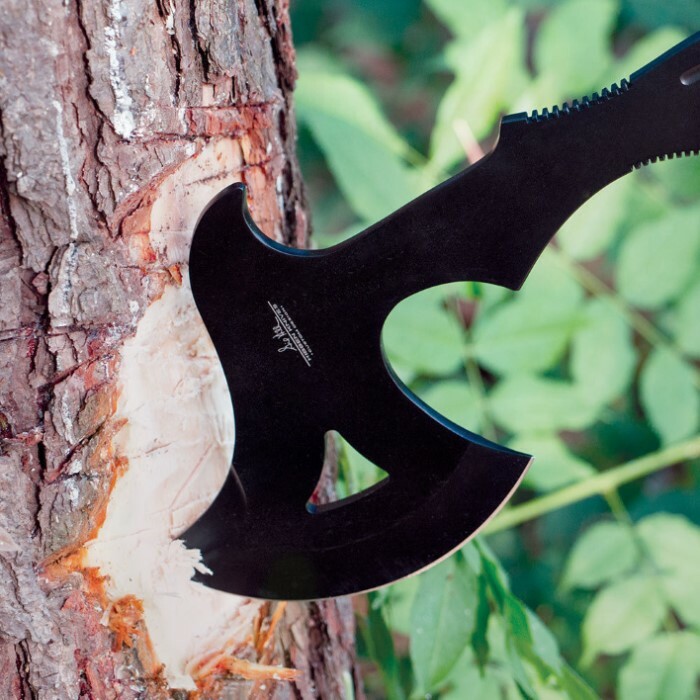 Cannot throw this axe too hard, the handle broke after about twenty throws but the axe still flies well without it.